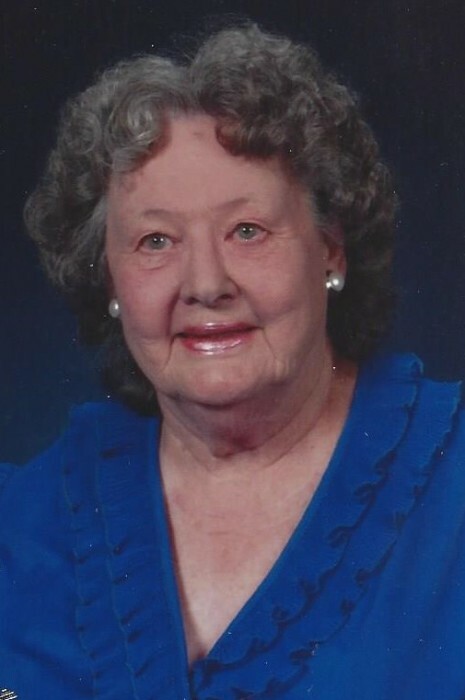 After a long and full life, Violet Hougland passed from this life to her eternal reward on November 28, 2018. She was born Dec. 9, 1920 to Carl and Bertha (Larson) Johnson in the small coal town of Buxton in Southern Iowa. Violet was baptized at the Lutheran Church in Buxton. At the age of three she and her older sister, Marie, moved to Chariton, Iowa with their parents. Later, she was confirmed at First Lutheran Church in Chariton, Iowa. She graduated from Chariton High School in 1939, then moved to Des Moines in 1941. She worked at the Ordnance Plant in Ankeny for three years doing her part to help during the war. She then went to work for State Auto, an insurance company. She stayed with them until she married. Violet married Glen Hougland at the First Lutheran Church of Chariton on June 26, 1966 matching the month and day when both her parents and grandparents were married. With this marriage, she gained three stepchildren: Arnold, James and David - all were living in the Portland, Oregon area and James’ ex wife, Kathy (Doug) Stem of Prescott, Arizona; grandson, Jim (Ashley) Stem and their children, Trevor and Alex. Violet’s strong religious beliefs carried her through life and helped her get through several serious illnesses over the years. She tried to keep in mind all the daily blessings she shared with her family and friends. She liked to bake and was known for her sugar cookies, rice pudding and lemon pies that she would show up with when visiting family and friends. Glen and Violet were able to enjoy many trips - both short and long. They went to two very small towns in Germany on one trip. On another longer trip they spent one month in a rental house on the big island of Hawaii with some friends of Glen’s from Armstrong Tire and Rubber. Another trip with these friends took them to Spain, Morocco and Gibraltar. They were members of the Iowa Heartland Chevy Club for many years. This allowed them to travel to various places in Iowa and the surrounding states for car shows where Glen would show off his 1958 Chevy Impala hardtop or his 1958 Chevy Impala convertible. Violet was preceded in death by her parents, Carl and Bertha Johnson; sister, Marie Umbenhower; brother-in-law, Kermit Umbenhower; stepson, Arnold Hougland and various aunts, uncles and cousins.